What is Automatic Train Protection? 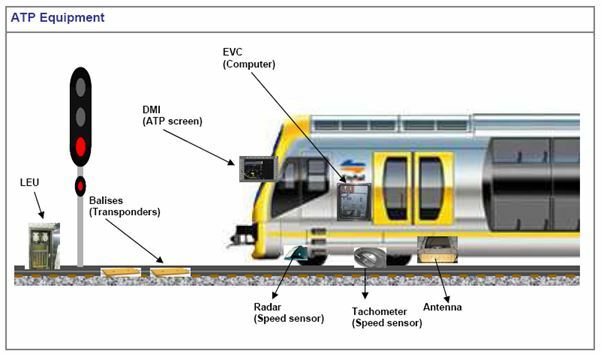 * Automatic Train Protection (ATP) is a safety system which continuously monitors the train performance and speed, and applies the brakes if an unsafe situation should arise, a train is going too fast. * It will also apply the brakes to stop a train if it passes a stop signal. 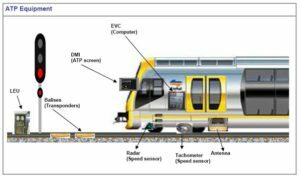 * The ATP system includes equipment on track and on trains, which interact to help ensure that trains stay at safe speeds. * This system receives information that allows it to calculate a safe speed and the need for any braking. It then displays this information to the Driver. If the train approaches a potentially unsafe situation, it will apply the train’s brakes. * Balises (transponders) – These are devices that send information such as track speed limits, gradients and signal information to trains that pass over them. 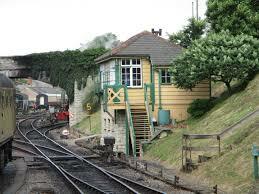 The balises are unpowered, and are only ‘active’ when a train passes over them, at other times they are not ‘live’. 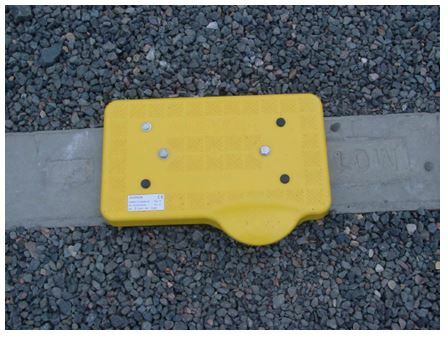 * Balises/transponders should not be walked on. * If you notice loose wires or damage to a balise/transponder report it to the Network Control Officer. 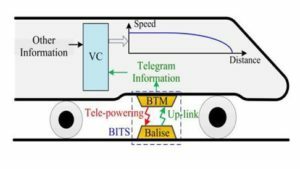 Fixed-data balise sends a line data telegram to the vehicle. The telegram contains operating information and provides details on the position of the train on the line. In the fixed-data balise, the line data telegram is stored permanently. This data can be changed by the user at any time, if required. Each time a train passes, the fixed databalise containing a permanently stored telegram transmits the same data to the balise antenna aboard the vehicle. Variable Data transmits the variable data according to the possible signal aspects and their associated telegrams are stored in Lineside Equipment Unit (LEU) installed at the trackside. 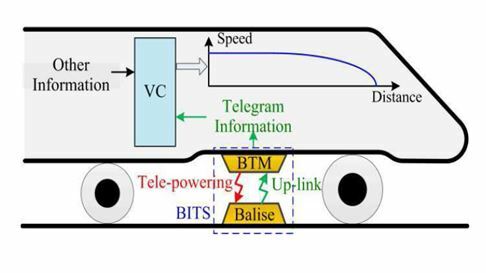 In accordance with the signal aspect, the appropriate telegram is passed on to the variable data balise which in turn transmits it to the train. 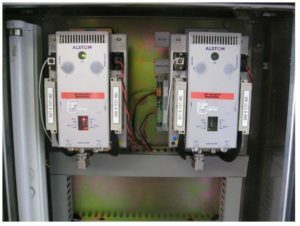 Variable data balises are connected through point to point cables with LEU that provide both data signal (telegrams) and power supply. The variable-data balise checks the quality level of the data signals received from the LEU and, in case of failure, transmits a default data telegram which is stored in the balise’s non-volatile memory. Lineside electronic units are connected to signalling equipment and send relevant information to one or more balises/transponders. 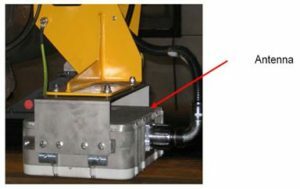 An antenna – It is mounted underneath each cab, that receives information from balises. An On-board function that processes Up-link and Down-link data and interfaces the On-board Antenna Unit. The balise information transmission system (BITS) is a kind of high-rate point-mode data transmission equipment and serves as an important part of the train control system. The system function of BITS is accomplished by two signal transmission processes, i.e., the tele-powering transmission process where the BTM radiates energy waves to activate the ground balise to start to work and the up-link signal transmission process where the ground balise transmits important control information to the train subsequently. Through the two processes, the ground-train point-mode information transmission is achieved, and the telegram information including geographical position, route data and temporary speed limit is passed to the Vital Computer (VC), which continuously calculates the dynamic speed profile from these data and other information concerning locomotive performances, thus realizing the real-time supervision of train speed. Therefore, the information transmission process of BITS is very important for train operation safety. 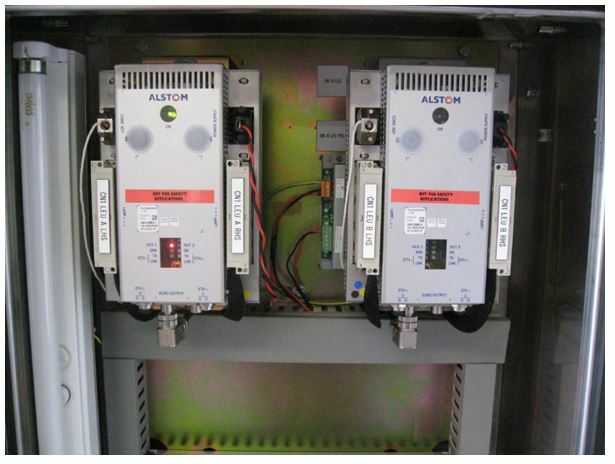 An odometry system – This system has two radar sensors, two wheel sensors and an accelerometer, and which calculates speed, distance, acceleration and direction. 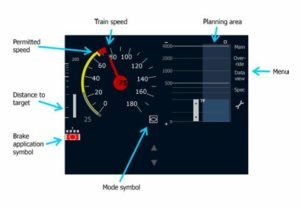 * An on train computer – known as the European Vital Computer (EVC), combines the information received from the trackside with train characteristics, such as the train length and braking ability to calculate safe stopping distances and speeds. 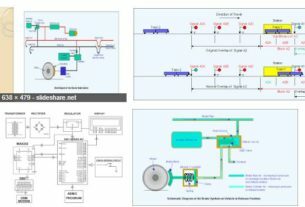 * The ATP screen – known as the driver machine interface (DMI), allows Drivers to view information about the current track speed, the track ahead and system details. 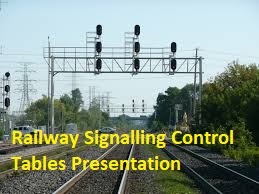 Automatic train protection provides continuous monitoring of the speed of a train to ensure that it does not travel at excessive speed in connection with track speed restrictions or signal aspects. The maximum speed is computed by on-board computer system (4) and displayed to the driver (6). If the maximum safe speed is exceeded the brakes (7) are applied. To perform the computation the train computer needs to know the speed of the train and its position on the track. These are derived from a tachometer located on one of the wheels (5).The computer also needs fixed information about the track including the value and position of speed restrictions, the location of signals, junctions and track gradients. This information is sent by electronic trackside balise (2) and picked up on the trainborne antenna (3). The computer also needs to know variable track data, this includes signal aspect information plus information on the route set ahead of the train. This is derived from the existing signalling system (1). This is also generally picked up via the trainborne antenna (3) or a separate radio communication system. Finally, the computer needs to know information about the maximum speed and braking characteristics of the train and the length of the train. This is either built into the computer or fed in by the driver at the beginning of each journey (8).